Seminyak is a mixed tourist/residential area next to the more famous Kuta. You can find budget accommodation, shops and restaurants but the majority on offer is upscale and prices are among the highest in Bali. The whole area is bordered by kilometres of sea shore so you’ll never be far from the beach yet still close to everything else you might need during your stay. 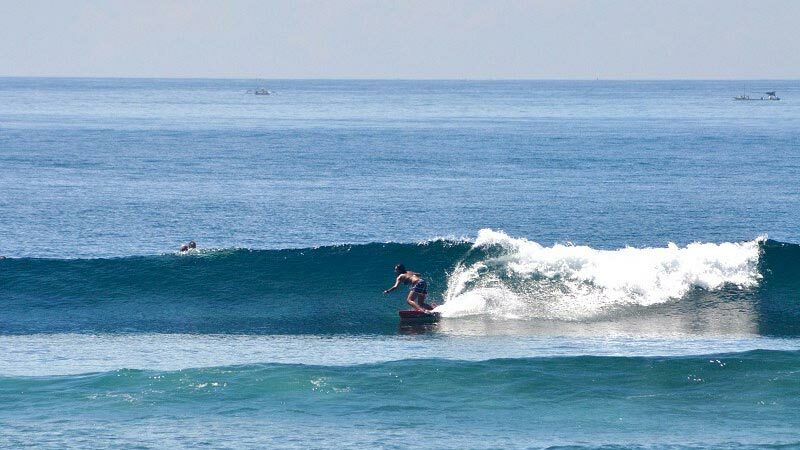 Double six beach is perfect for beginners, the waves seldom get really big and the seabed is always low. There are plenty of local surf schools on the beach, just ask around for prices. So Surf school close to the entrance from Jalan Double Six is a really good one; Bobby and the boys are professional, all smiles and fun to be around. A 2,5 hour private surf lesson costs Rp.400 000, and don’t be surprised if afterwards you end up hanging out with the group for a beach BBQ party. There are hundreds of restaurants to choose from but finding a good one is not always that easy. If you’re on a budget check out Warung Taman Bambu on Jalan Plawa for really good nasi campur. Ultimo on Jalan Kayu Aya No.104X serves affordable and tasty italian food and their complimentary bread basket with garlic butter is just divine. If you are in need of a good steak head to Malo’s on Jalan Nakula No.9. For a special dinner book a table at beachfront restaurant La Lucciola on Jalan Petitenget. If you’d like to experience a different kind of treat try Biku‘s Asia high tea where the menu is centered around small cakes, bread and butter sandwiches, assorted sweets and of course tea. You’ll find the restaurant on Jalan Petitenget No.888. If you’re a vegan or vegetarian go pay a visit to Zula vegetarian paradise and health food store on Jl Camplung Tanduk No.5. Instead of watching the sunset on the beach upgrade a bit and enjoy it by booking a table at Double-six rooftop bar on Double-six beach No.66 and sipping cocktails and savoring the different kinds of finger foods off the menu. Or head to Potato Head on Jalan Petitenget, reserve a big beach bed next to the pool and order the cheese plate and some really lovely albeit a little bit pricey cocktails. This place is perfect whether you’re a couple, a group of friends or a family with kids. 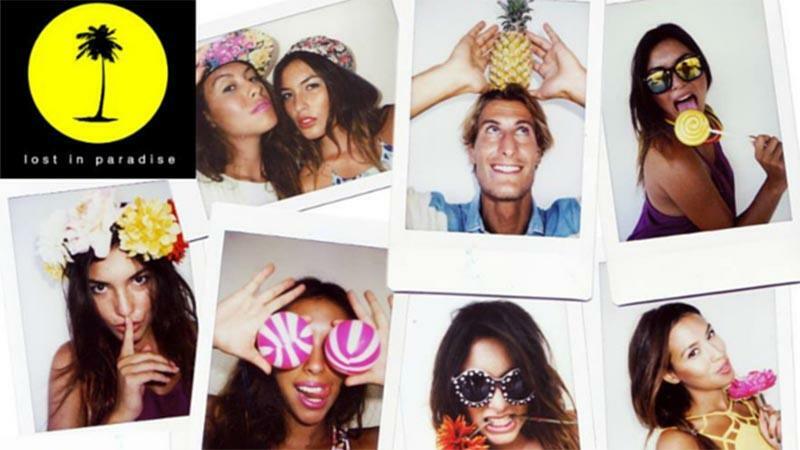 The Oberoi area is where to get your groove on if you fancy something nicer than Kuta bars and want to mingle amongst trendy people. Good way to start the evening is visiting the Red Carpet champagne bar on Jalan Kayu Aya. It has a sort of up-market feel yet the atmosphere remains light, playful and casually fun. They serve cocktails and wines but you should definitely enjoy it to the fullest by ordering a glass or a bottle of their best-selling Môet champagne, just expect to be spending money in millions of rupiahs instead of hundreds of thousands. To make you feel even more glamorous the waiters go around serving complimentary canapes. After this luxury head off to continue the night at either La Favela on Jalan Kayu Aya or Motel Mexicola on Jalan Kayu Jati. 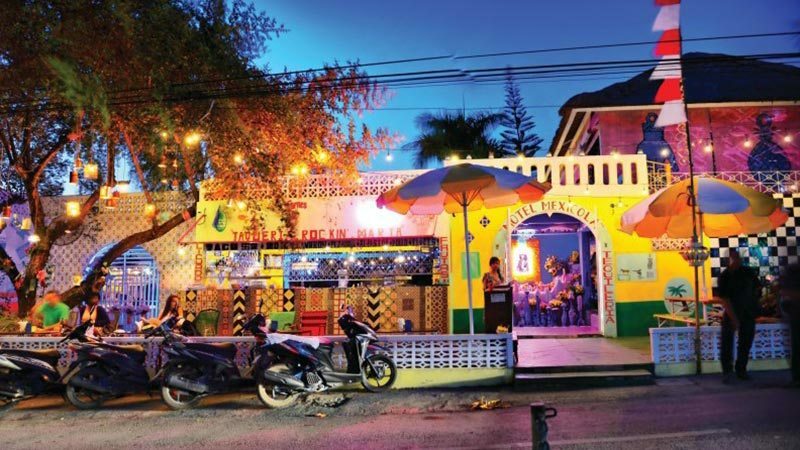 Both have a bit of a South American vibe and serve tasty cocktails accompanied by good tunes by the DJs. Or why not go see a drag queen show in one of the gay bars on Jalan Camplung Tanduk (Dhyana Pura). For girls I can guarantee it will be one of the funniest nights of your life. Good bars to check out are Mixwell and Bali Joe. If you’re willing to spend a bit more money on really good spa treatments book an appointment at Bodyworks on Jalan Kayu Jati No.2. A 1-hour full body massage will set you back Rp.275 000 while facials start from Rp.231 000. For good nail treatments there’s no better option than Lady Marmalade nail boutique and champagne spa on Jalan Drupadi No.9Q. It is a burlesque-inspired nail salon where manicures and pedicures with polish start from Rp.170 000 each. For a more budget-friendly option visit Sisu Spa on Jalan Petitenget. Their balinese massage for Rp.75 000 is one of the best I’ve had. Seminyak area has some good yoga studios and also a pole dancing/pilates studio. For yoga I would recommend either Yoga Shala on Jalan Raya Basangkasa for good mysore ashtanga and hatha yoga classes (Rp.120 000 for 90mins) or Jiwa Yoga on Jalan Petitenget for bikram and flow hot yoga classes (Rp.180 000 for 90mins). The Art of Body on Jalan Mertanadi No.25 offers pole dancing, aerial yoga and pilates classes and courses. Prices Rp.130 000 for 55mins class. If you prefer to get your endorphin fix at the gym, Hammerhead Gym on Jalan Nakula is recommended and affordable, and they also offer Zumba, Hip hop and Combat classes. There are plenty of small label shops in this area, especially on Jalan Raya Seminyak and Jalan Kayu Aya. My absolute favourite is Drifter Surf Shop&Cafe on Jalan Kayu Aya which as the name says sells mostly surf labels but also lifestyle stuff. The design of the store is just fabulous and you can spend hours there (why not enjoy a coffee in between). Other nice shops are Somewhere on Jalan Kayu Aya and Jalan Raya Seminyak and Lost in Paradise on Jalan Raya Seminyak for budget-friendly options, and for example Lulu Yasmine, Niconico and Animale on Jalan Raya Seminyak and Buddha Wear on Jalan Kayu Aya if you’re willing to spend a bit more. You can also find a lot of affordable stuff for furnishing and decorating your home so go check out the many small deco shops on Jalan Mertanadi. For an experience quite out of the ordinary, check out Eiger Adventure Store on Jalan Sunset Road. Outside the store there is a climbing wall for all adventurous people. 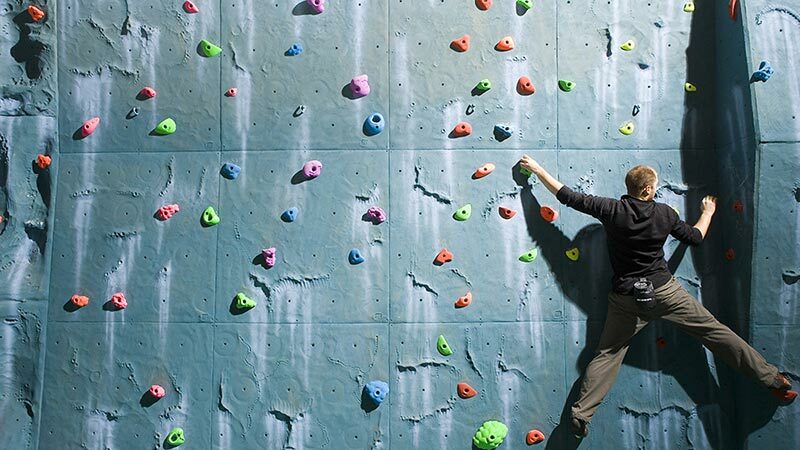 Get your climbing gear on and test how high you can get while enjoying the view on the way to the top! 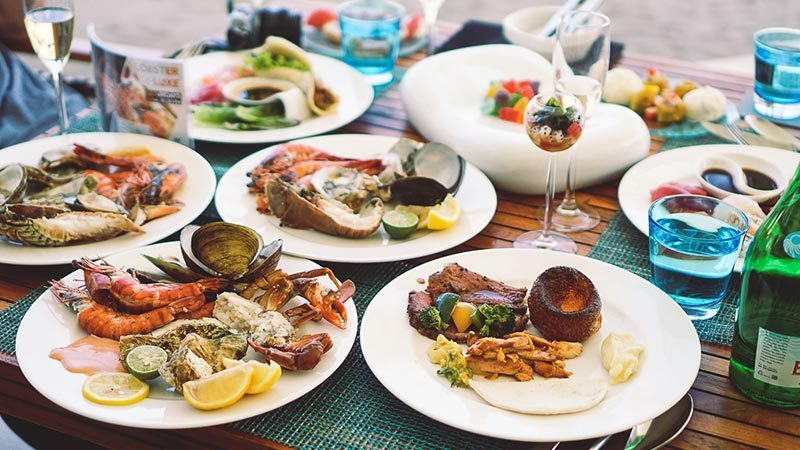 For a “died and went to heaven” kind of experience, head out to Starfish Bloo restaurant at W Retreat & Spa for their Sunday brunch. 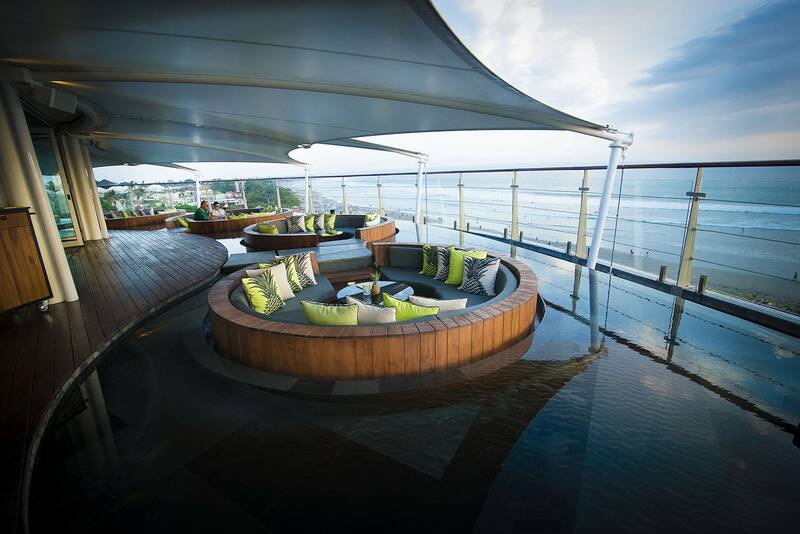 Starting at 12 and priced at Rp.495 000++ per person it surely is something you’ll never forget. Grab your complimentary glass of champagne at the entrance and enjoy the mixture of Asian flavors flirting with western essences. Explore the tasting menus, graze on the little nibbles and circumvent the extensive a’la carte section. With a multitude of salads, sushis, meats, seafood, desserts and plenty others, there’s something for everyone. After eating choose a nice spot by the pool to digest and soak up some rays. Other nice beach club/restaurant options are Potato Head and KuDeTa. If you, like most of my friends, need your daily fix of some caffeine and don’t really fancy another cuppa of the bali coffee, then no need to worry! 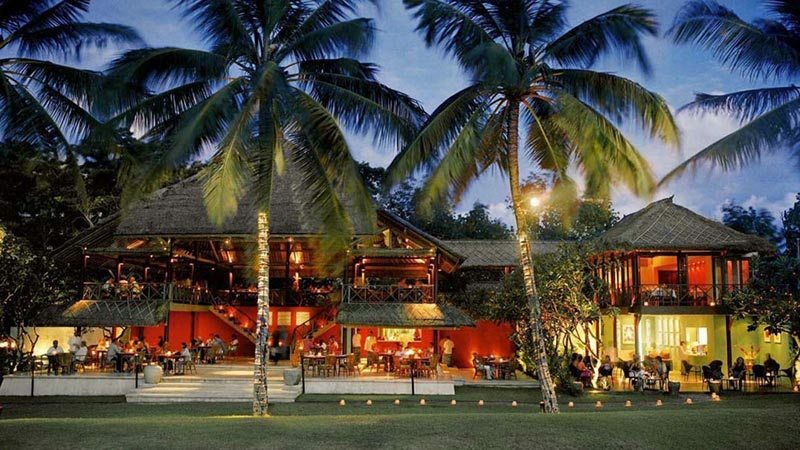 The cafe scene is booming in Bali and there’s always a lot of fanfare about the wondrous themes and incredible menus. Here you can get coffee for unbeatable prices: as low as Rp.25 000 for a cup of quality flat white. 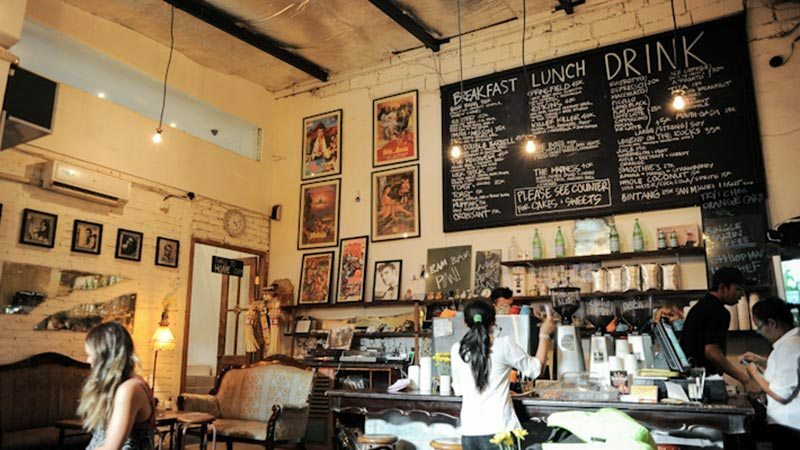 In most cafes you can also enjoy delicious pastries and food at affordable prices. And what’s even better, there’s usually a high-speed wifi for the customers to use. Places worth checking out are Revolver Espresso on Jalan Kayu Aya No.3, Anomali on Jalan Kayu Aya No.7B, Livingstone Bakery on Jalan Petitenget No.88X and Corner House on Jalan Laksmana No.10A.